CTech-LLC® FRP composite products are widely being used on different types of transportation structures like existing bridges, tunnels, highways, airports and other transportation infrastructure. Today deterioration and functional deficiency of transportation structures is a main obsession in all over the world and finding a practical solution to this challenge can be a very important task. FRP composite materials can provide valuable solutions for many problems which are related to transportation structures. Many of ageing bridges can not meet up to the load requirement of the growing traffic, because they are designed to carry light carriage and wagons, but not heavy automobiles. So we must find new methods to mitigate deterioration of old bridges. These methods should be considerably reliable and cost effective. Retrofitting of transportation Structures with Fiber Reinforced Polymer (FRP) composites can be a very good alternative to traditional bridge rehabilitation methods. In the 1980s the first investigations were carried out to study about the effect of FRP composites systems on bridge columns for the purpose of strengthening and retrofitting. Results of the tests were entirely satisfying and proved that FRP composites can be utilized to repair and retrofit transportation structures, because they offer an extend range of desirable properties like excellent stability and high resistance. CTech-LLC® FRP composite products have many advantages. They are used in rehabilitation of bridges and other transportation structures because of their high strength and extreme durability. They also provide practical solutions to structural problems in aerospace and tunneling industries. FRP composites are light weight and can increase service life of different transportation structures. These valuable products are corrosion resistant and can be implemented in corrosive environments. Corrosion plays an important role in deterioration of all bridges, so we can use CTech-LLC® FRP composites because unlike steel reinforcement they are non-corroding materials and can be excellent alternatives to them. Furthermore CTech-LLC® FRP products result lower maintenance cost and are more cost effective than other traditional materials. FRP composites can eliminate most of the damages, which may occur in transportation structures elements, because of their superior inherent properties. They are also popular materials due to their high flexibility. 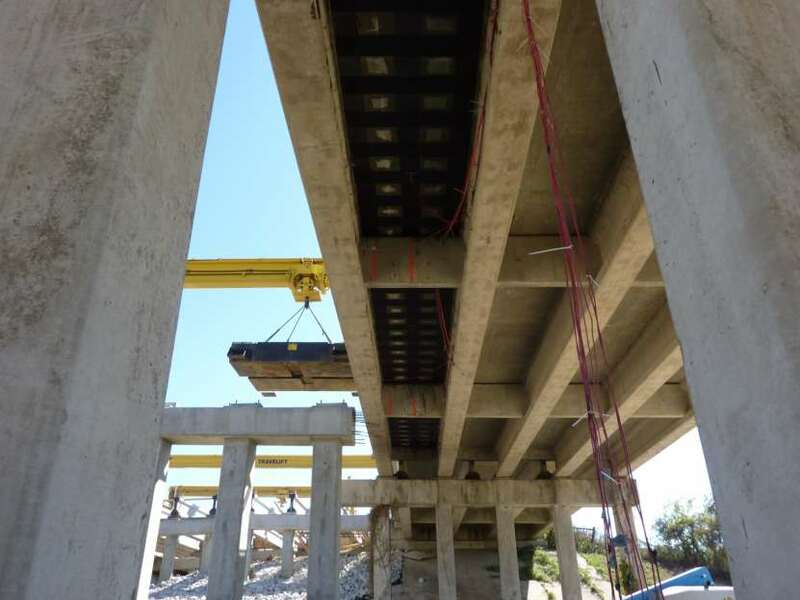 Totally we can come to the conclusion that CTech-LLC® FRP composite products are proper materials for retrofitting different members of transportation structures like columns, beams/pier caps, slabs and connections. They are also unrivaled materials to be used in bridge deck panels and girders, Dowel bars and Continuous reinforcement in roads, Foundations and grating walkways of railways and many other different elements of structures.